Summertime is here again, which means the days are longer and allergens are out in full force. 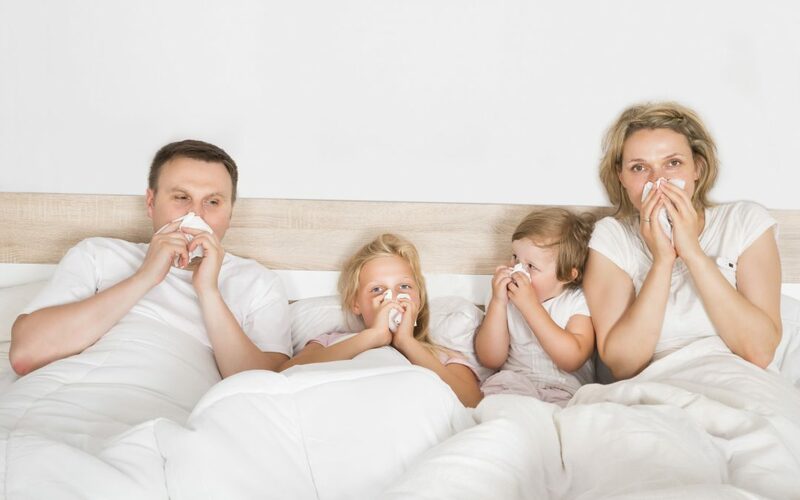 To keep from being cooped up this season plagued with sneezing, sniffling and a runny nose, there are five things you can do to protect your home as well as your peace of mind. One of the first things you’ll want to do is schedule maintenance for your HVAC system. Not only does proper maintenance reduce allergens, it also goes a long way in extending the life of your system and boosting its overall functionality. If your vacuum is several years old, it might be time to think about upgrading to one that uses a HEPA filter, which traps allergens rather than flinging them around your house. While you’re at it, you might also want to consider a professional carpet cleaning. Mold can be rather sneaky, so be sure to give your bathrooms, air ducts and laundry room a thorough once-over to be sure none is hiding in corners. To keep mold at bay, keep your tiles as clean as possible in rooms that receive a great deal of moisture. During the summer season, get into the habit of washing your bedding at least once a week in hot water. When the weather warms up, dander, pollen, mildew and the like tend to pile up and can make themselves at home in your bed. It’s also a good idea to buy mite- and dust-proof bedding to go the extra mile. If you spend a lot of time on your patio, it’s best you sweep and/or vacuum around your entryways, making sure you do the same to your main residential entrances and exits. Put down mats if you don’t have them to keep tracked in pollen and dust to a minimum. Feel free to contact us here at Attention to Detail Moving for more allergy-busting tips this summer season.